Thanks to Scampi for the scan! Amazing! Your vector looks cool. I love your job. SO LOVELYNESS! I LOVE THE ANIME ANGEL BEATS! the bg looks good for the 1st wall! keep practicing! the extraction on the girl is a little messed up in places, just make sure to be really careful with that to avoid having walls reported or deleted. This is an incredible wallpaper. 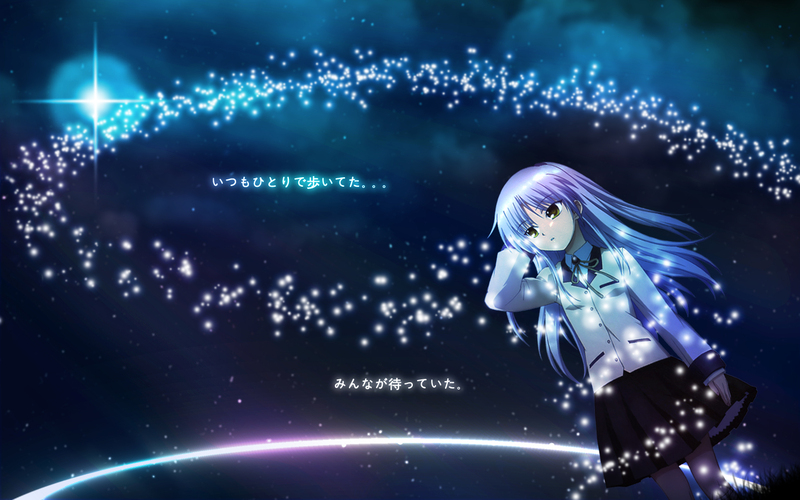 Nice Wallpaper,I really like lightening effects and Kanade kawaii :X:X ! I love this wallie! Tenshi is so cute! Ty for sharing ! :D its really nice !